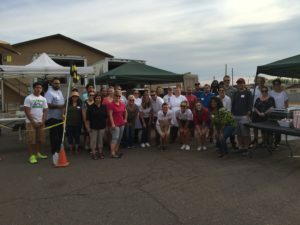 For the fourth year, Artisan by Santa Barbara Catering partnered with Checkered Flag Run Foundation for the Phoenix Tools for Schools event. This event provides school supplies, backpacks, clothing and a hot breakfast to over 3,000 local students. 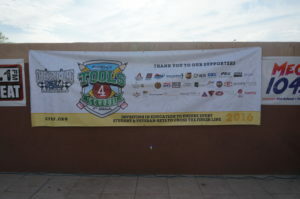 This is the largest event that the organization has hosted to date. 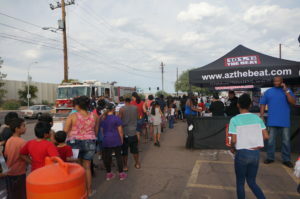 Lines for the free school supplies wrapped around the Travis L. Williams American Legion Post 65 near 16th Street and Broadway Road in Phoenix from 7 a.m. to 10 a.m. Parents brought their kindergarten through junior high children for a morning of music, fun and free school supplies. Artisan by Santa Barbara Catering set up tents for shade and several stations the night before to keep a smooth flow of students receiving their school supplies. To the Artisan by Santa Barbara Catering team’s surprise, several of the tents that were set up the evening before needed repairs after an Arizona monsoon storm hit. The Artisan by Santa Barbara Catering team needed to create a quick solution was needed to ensure that the event ran smoothly and people were still given shade! Several of the team members were able to fix the tents and those attending the event had no idea the quick problem solving the Artisan by Santa Barbara Catering team put together! 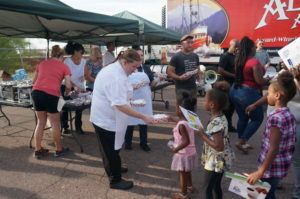 After meeting Phoenix fire fighters and music station deejays, the line of parents and children came through the Artisan by Santa Barbara Catering tents where a freshly made and hot breakfast burrito with eggs, bacon, potatoes, cheese and salsa were given to children. There were also water stations to keep event guests and volunteers hydrated through out the event. Children were able to eat their burritos under plenty of shaded tables at the American Legion. 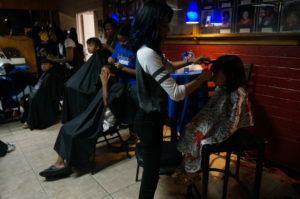 After eating, the event guests could go inside of the Legion where free haircuts were being given by local hair stylists. There were also other organizations inside including the Roosevelt Early Childhood Family Resource Center and the Phoenix Police Department. 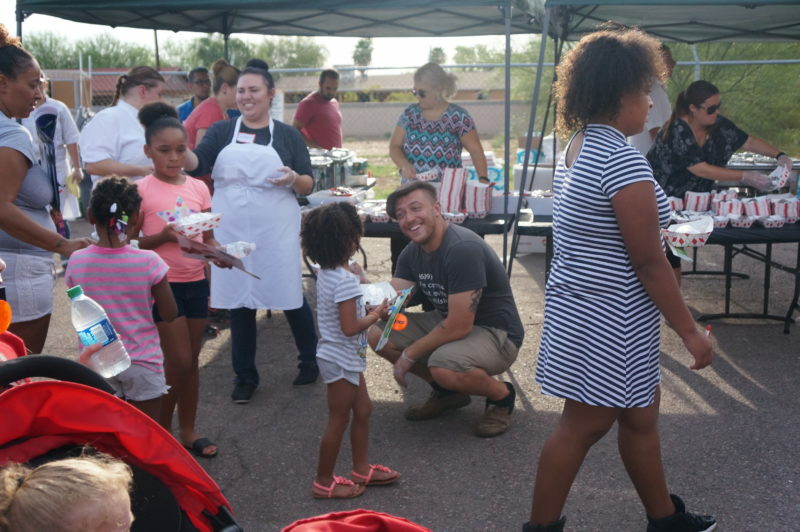 The day was a complete success with coverage from FOX 10 news, hundreds of volunteers and over 3,000 backpacks and burritos given to Phoenix students.